The French navy is dispatching a nuclear submarine to join the search effort for the wreckage of an Air France passenger jet believed to have crashed into the Atlantic Ocean, the country's defence minister said Friday. The French navy is dispatching a nuclear submarine to join the search effort for the wreckage of an Air France passenger jet that crashed into the Atlantic Ocean, the country's defence minister said Friday. 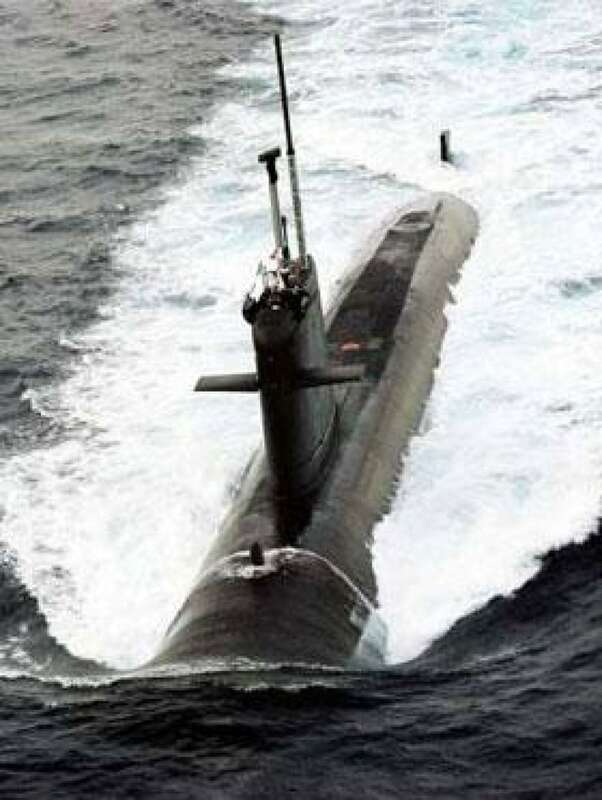 The nuclear submarine Emeraude is seen here in an undated file photo provided by the French Ministry of Defence. ((ECPAD/French Ministry of Defence))Defence Minister Herve Morin said the submarine Emeraude is equipped with surveillance equipment that could help find Air France Flight 447's data recorders. It is expected to arrive by next week in the area where search crews have been concentrating their efforts. Earlier in the day, French officials said search planes have not yet been able to confirm that any debris spotted in the Atlantic Ocean belongs to the jet and urged searchers to be "extremely prudent" in identifying any wreckage. No evidence has yet been retrieved from the Airbus A330 that disappeared off radar screens between eastern Brazil and western Africa, said French Transportation Minister Dominique Bussereau. The flight was en route from Rio de Janeiro to Paris with 216 passengers and 12 crew on board when it flew through stormy weather and disappeared. Bussereau said he regretted that Brazilian search teams had widely publicized on Thursday that they had recovered parts of the plane's debris. The wooden cargo pallet plucked from the sea was never on the plane, officials later said. "There is a lot of garbage in the sea, and sometimes what might seem to be wreckage is actually trash," Brazilian navy Adm. Edson Lawrence said Friday. "French authorities have been saying for several days that we have to be extremely prudent," Bussereau said. "Our planes and naval ships have seen nothing." 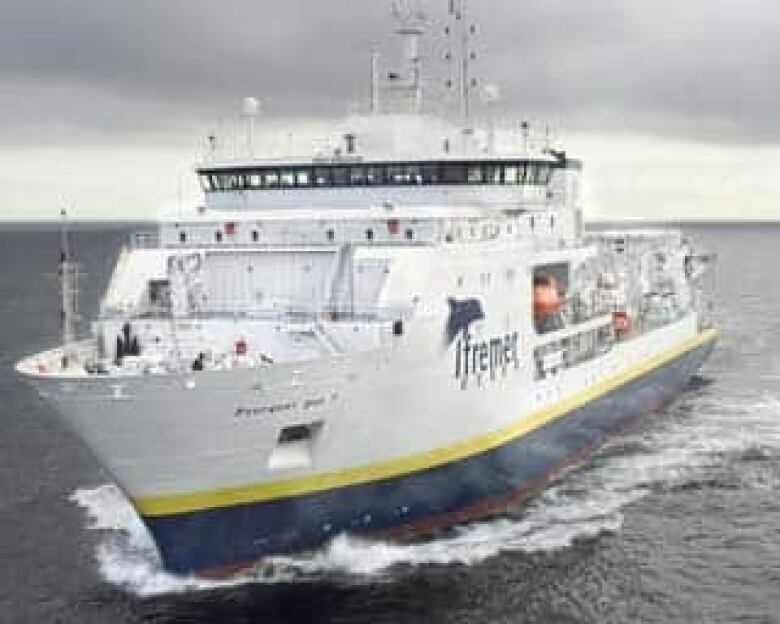 French sea research vessel the Pourquoi Pas, which is carrying several submersibles, is working its way toward the search zone for Air France Flight 447. ((Olivier Dugornay/Associated Press))French air force Col. Thierry Bon said that flotsam has been spotted in the search area but there is no way to yet confirm if it is part of the plane. "Aircraft are making visual recognitions on the different contacts but currently I am not sure that those contacts are really part of the aircraft," Bon said. Ramon Borges Cardoso, general director of the Brazilian Aerospace Control Department, said debris believed to be from the plane has indeed been spotted. It has just not yet been retrieved. It has been a challenge to recover any wreckage because poor weather in the area has hampered visibility, he said. Earlier in the week, search planes spotted a trail of wreckage that contained what's believed to an orange life-vest, pieces of metal and an airliner seat. A separate debris field about 90 kilometres to the south was amid a 20-kilometre oil slick and contained what's believed to be a seven-metre piece of the plane. "This is the material that we've seen that really was part of the plane," Cardoso said. But Cardoso added Brazilian officials no longer believe the oil slick came from the crashed Airbus. From a retrieval perspective, Cardoso said, Brazilian search teams are focused on recovering the remains of the people onboard. "With every moment, the probability of finding the bodies decreases because more than 100 hours have passed since the accident and that possibility is more remote each time," he said. No bodies or body parts have yet been reported. Among the passengers were vacationers, newlyweds, a group of business people returning from a trip they had been sent on as a reward for their work, an 11-year-old boy returning to England alone, and Canadian Brad Clemes, 49, a Coca-Cola executive who was born and raised in Guelph, Ont., and lived in Belgium. Prosecutors in Paris opened a manslaughter probe, their office said Friday — a routine step whenever French citizens die overseas. Brazil's air force was flying some relatives of victims from Rio de Janeiro to the military's search command post in the northeastern city of Recife so they could tour the operation and ask questions on Friday. Any debris or human remains that are recovered will be taken to the air force base in Recife. Finding debris will also become more difficult with the passing days, according to French officials. Over time, the debris will continue to spread out and sink into the deep, mountainous ocean, which has strong currents in the area. Bussereau said the search is continuing and from the French investigation team's perspective, the priority is on finding the plane's black boxes. Two deep-water submersibles are not expected in the remote area until next week. Meanwhile, European plane-maker Airbus sent an advisory to all operators of the A330 reminding them of how to handle the plane in conditions similar to those experienced by Flight 447. The French agency investigating the crash said the doomed flight had faced turbulent weather and inconsistency in the speed readings by different instruments meant "the air speed of the aircraft was unclear." In such circumstances, flight crews should maintain thrust and pitch and — if necessary — level off the plane and start troubleshooting procedures as detailed in operating manuals, said Airbus officials. Experts say that jetliners need to be flying at just the right speed when encountering violent weather. If they are flying too fast, they run the risk of breaking apart. If they are going too slowly, they could lose control. Issuing the document "no way implicates any blame" on possible problems with the aircraft or the flight crew onboard, said Airbus spokesman Justin Dubon. The French Accident Investigation Agency said Thursday that automatic messages received from the plane failed to show how fast it was going. But the agency warned against "hasty interpretation or speculation" about the crash. What brought down Air France Flight 447?